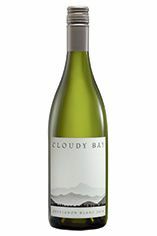 Cloudy Bay have been setting the benchmark for Marlborough Sauvignon Blanc since 1985 – often imitated, rarely bettered. Their 2013 initially displays a powerful nose of gooseberry fruit and elderflower….the typical notes for New Zealand Sauvignon. However, going back to the glass after a minute or two reveals a deeper, richer tone of white peaches and passion fruit which hint at something far above the average Kiwi Sauvignon. 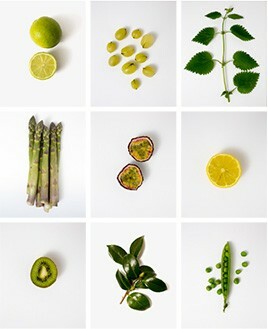 The palate is vibrant and racy – in fact it fairly zings with white currant and grapefruit flavours. However, and it is the overall balance and complexity on the finish which sets it apart from the pack. The Wine Advocate - The 2013 Sauvignon Blanc presents pleasantly intense notes of gooseberries, fresh grass and green apples with hints of capsicum and dill seed. Medium-bodied, crisp and refreshing on the palate thanks to plenty of vibrant citrus and vegetal flavors, it finishes long with some silkiness to the mouthfeel. Drink it now to 2016. An important white grape in Bordeaux and the Loire Valley that has now found fame in New Zealand and now Chile. It thrives on the gravelly soils of Bordeaux and is blended with Sémillon to produce fresh, dry, crisp Bordeaux Blancs, as well as more prestigious Cru Classé White Graves. It is also blended with Sémillon, though in lower proportions, to produce the great sweet wines of Sauternes. It performs well in the Loire Valley and particularly on the well-drained chalky soils found in Sancerre and Pouilly-Fumé, where it produces bone dry, highly aromatic, racy wines, with grassy and sometimes smoky, gunflint-like nuances. In New Zealand, Cloudy Bay in the 1980s began producing stunning Sauvignon Blanc wines with extraordinarily intense nettly, gooseberry, and asparagus fruit, that set Marlborough firmly on the world wine map. Today many producers are rivalling Cloudy Bay in terms of quality and Sauvignon Blanc is now New Zealand`s trademark grape. 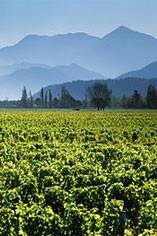 It is now grown very successfully in Chile producing wines that are almost halfway between the Loire and New Zealand in terms of fruit character. After several false starts, many South African producers are now producing very good quality, rounded fruit-driven Sauvignon Blancs.